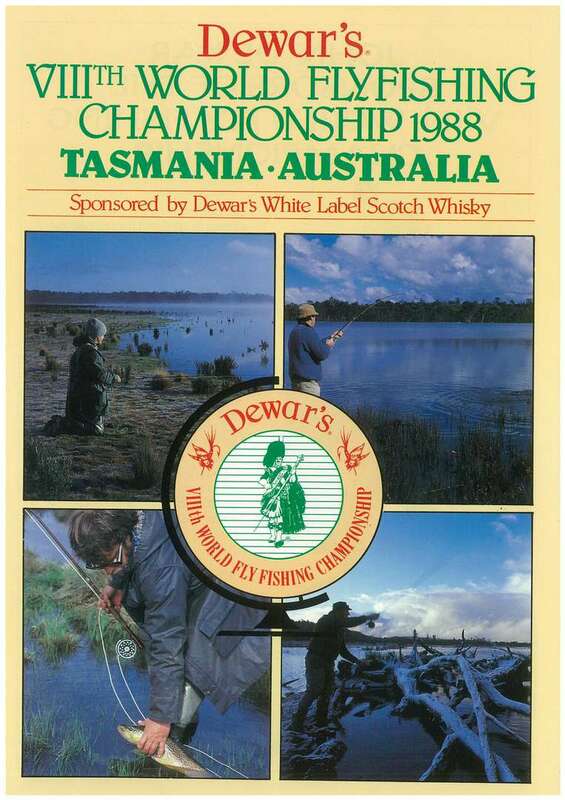 This year, on behalf of Australia, Tasmania will host the 39th World Fly Fishing Championship. 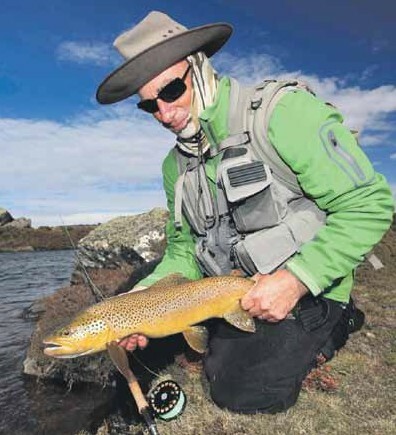 From 2 to 6 December competitors from up to 30 countries will experience fishing for Tasmania's wild brown trout. After years of planning, the excitement is building. This will be the second time Tasmania has hosted the championship. In 1988, competing anglers fished three venues, Little Pine and Bronte lagoons and London Lakes. The competition was shore based with anglers wading set beats. The local angling community who volunteered their support still talk about the friendships made and the camaraderie of the event. Now the event is held across five venues. Competing anglers will fish from boats on Little Pine and Penstock lagoons and Wood Lake and wade beats on the Meander and Mersey rivers. Again, the Championship will be a great opportunity for local volunteers to see the best fly fishers in the world and make lifelong friendships. 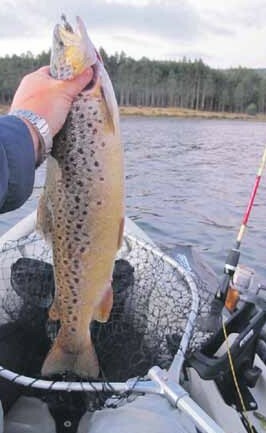 The Christmas and New Year period saw anglers flocking to the central highlands to enjoy some fantastic fishing. Overall the weather was good providing lots of fishing opportunities. Our Officers were on patrol throughout the period, and they saw some fantastic catches. Overall 317 anglers were checked, along with 109 vessels. 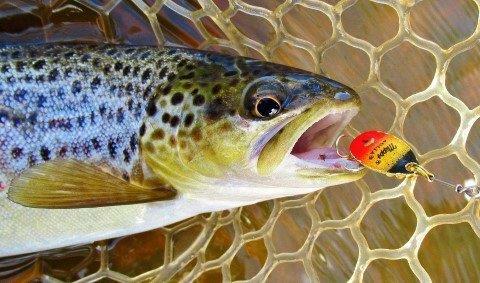 Read more: Trout fishing heats up! Results from rock lobster samples collected from this Zone on 12 December show that paralytic shellfish toxins are below the established limit of 0.8 mg/kg. 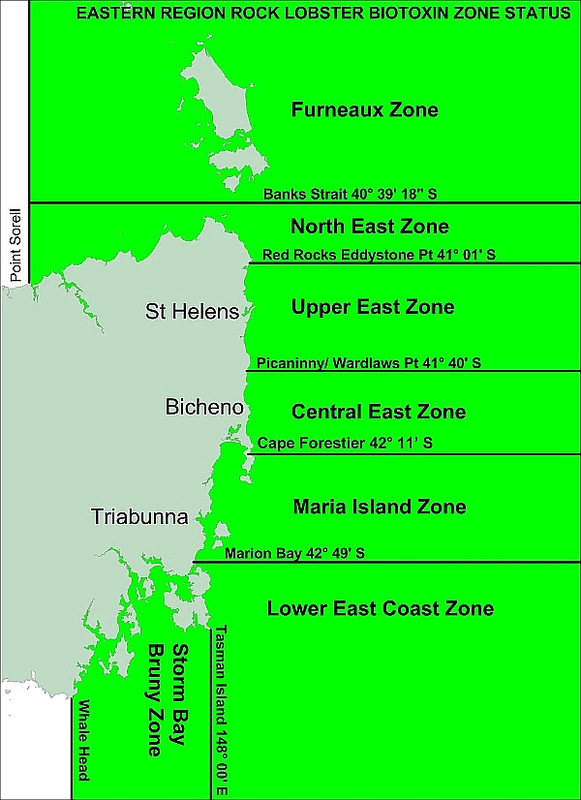 The Maria Island Biotoxin Zone will open on Friday 21 December. Recreational and commercial rock lobster fishers can set pots from 5 pm today, Thursday 20 December. The zone is open to fishing (pulling pots, rings or diving) from 00:01, Friday 21 December. 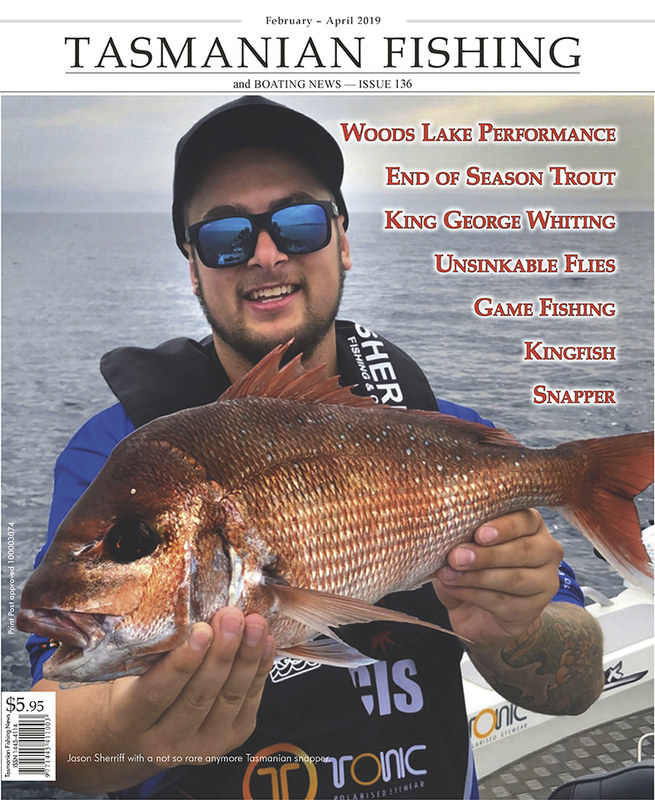 Tasmania recently hosted, Kirk Deeter, a leading US angling journalist and widely travelled author. Here is what he had to say in a recent social media post about his experience. Just back from one of the most extraordinary "fishing" trips I've ever experienced. Never thought I'd watch a wallaby jump over the creek as I made a cast. Never thought I'd see 7-pound brown trout tailing like redfish in skinny water, crushing frogs in the grasses. Never imagined a hatch of snowflake caddis that made the river look like an impending blizzard. Under-appreciated the significance of Tasmania in a cultural and historic context... as this is where the empire of the brown trout first expanded beyond European shores. 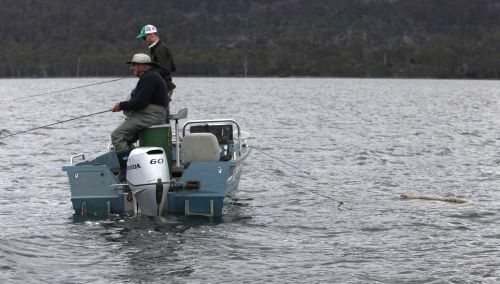 Didn't fully respect just how dialed Tassie anglers are in terms of their cutting-edge techniques. Had almost forgotten what a truly wild trout behaves like, and how awesome it is to watch them eat a fly. Did NOT under-appreciate the amazing hospitality and stunning environs while I was there. Much, much more forthcoming, but worth saying that Tasmania is beyond special. Love NZ, and Chile, and Argentina, and of course, the wild, wild West of America. But for context, know that Tassie sold a grand total of @250 fishing licences to foreign anglers last year... by contrast, NZ sold about 100 times that many. In other words, it's wide open. More soon... just landed... totally spent... feel like Dorothy waking up after her trip to Oz." Caddis larva are very high on trouts’ diet. They come in two forms, those that build portable homes (Stick Caddis) and free living. 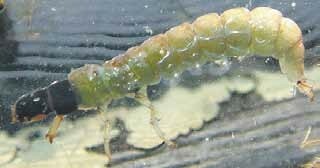 All caddis larva have a hardened section near and including the head, whilst the bodies are soft and range in colour from off white through to a dirty yellow and green in a variety of shades. They also have claws to cling onto the inside of their portable case. Caddis can be found in water from fast flowing streams to marshlands and lakes. Case building caddis use leaves, sticks, reeds or spun silk as a home. These are generally found in slow moving or still waters: others use sand or very small stones and these are normally found in streams. 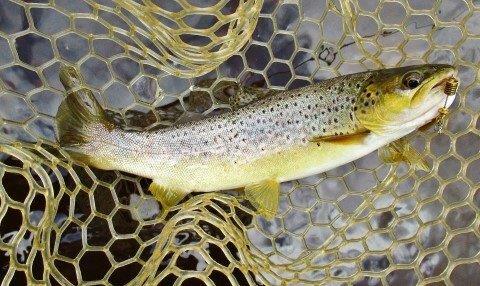 For those of you who love to trout fish, there will have been a time, some stage during your fishing ‘career’, where you lucked out and didn’t catch anything! Most of you will also know that in the ‘fishing world’, this is what is commonly known as a ‘donut’! It is the same shape as a zero of course. Now while the usual ‘donut’ means that no fish were caught, it doesn’t mean that there were no missed takes or bites. While this might seem bad at the time, there is something worse. That something is the ‘big fat donut’. This is where you go a whole day and don’t even get a sniff! Iwill be brave here and admit to having taken home many ‘donuts’ during my time as a trout angler. I have also done the same during a bream competition some time back; however, given that it is the start of a new season, our focus here will be on trout. 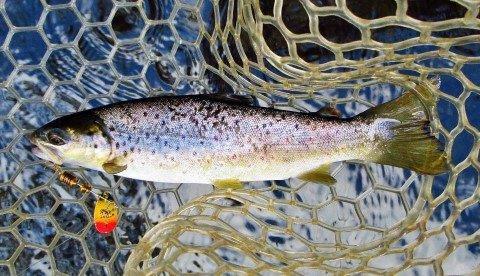 There are many factors that can influence the feeding behaviour of trout, with weather a significant one. While rain, or any other form of precipitation such as snow or hail, does not make for enjoyable fishing, such weather events do require the presence of clouds, and cloudy conditions generally mean good fishing conditions.